Like Artaud, Pizarnik understood poetry as an absolute demand, offering no concessions, forging its own terms, and requiring that life be lived entirely in its service. “An aura of legendary prestige surrounds the work of Alejandra Pizarnik,” writes César Aira. 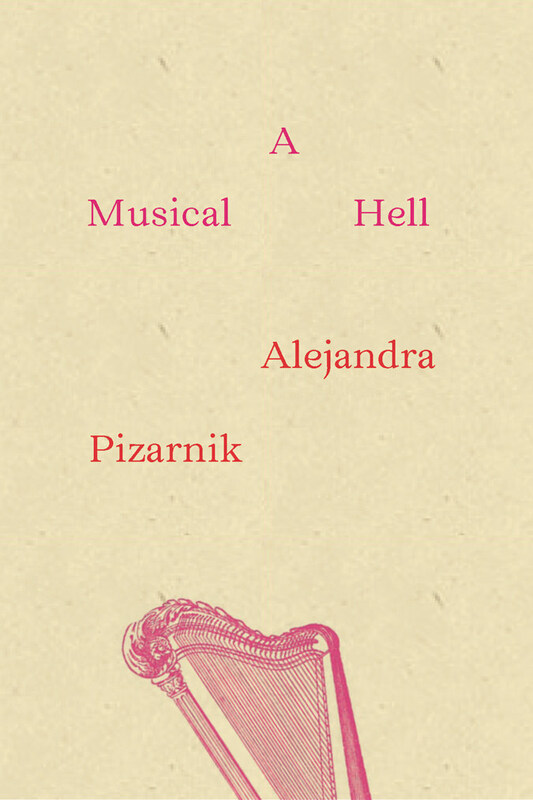 Her last collection to be published before her suicide in 1972, A Musical Hell is the first book of poems by Pizarnik to be published in its entirety in the U.S. Pizarnik writes at the edge of poetic impossibility, opening with a blues singer, expanding into silence, and closing into a theater of shadows and songs of the drowned. — The flower of distance is blooming. I want you to look through the window and tell me what you see: inconclusive gestures, illusory objects, failed shapes.… Go to the window as if you’d been preparing for this your entire life. Like Dickinson or Celan, Pizarnik’s late poetry knows no waste. Her poems are carefully crafted jewelry hanging from a thread of silence; any ornament or opulence would disrupt their balance. Fear and desire, silence and passion, beauty and death—all the coordinates of poetry are available in this slim volume of verse by a young woman whose voice was silenced decades ago, and far too soon.